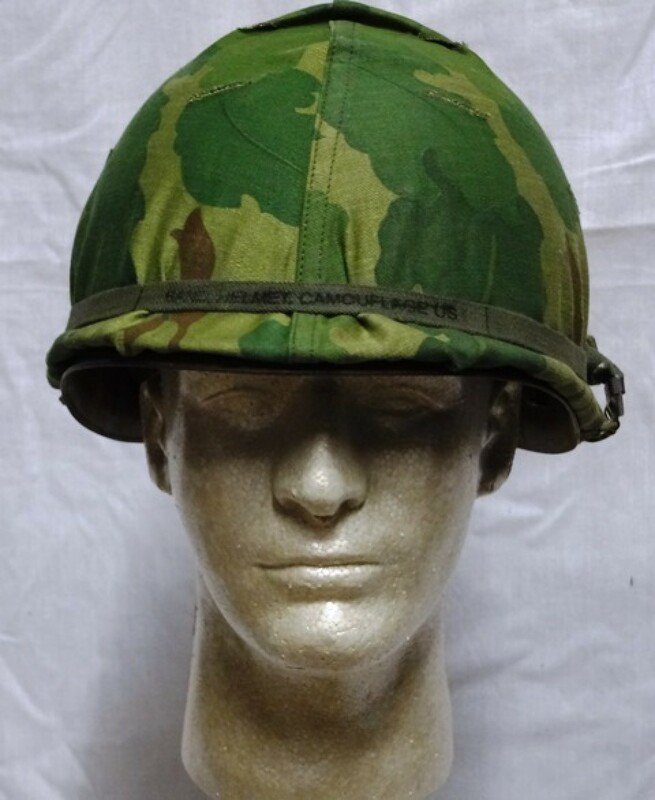 M-1 Helmet Complete, VN: This helmet features an original steel M-1 helmet shell in VG condition with correct unissued 1960's manufactured chinstraps. 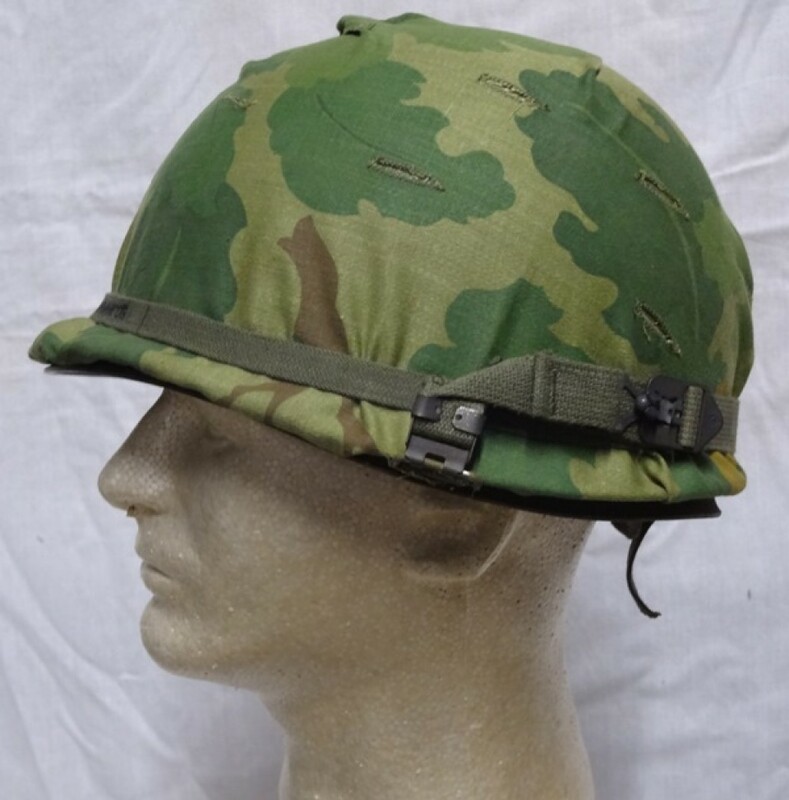 Helmet liners are Vietnam War period with fixed, riveted suspension. Liners are in VG to EXC used condition and are fully functional. Liner style may vary based on availability, but all are period correct and dated 1974 or earlier with fixed suspension. Sweatband and nape strap are in unissued condition and are DSA dated, 1972 or earlier. Complete with new reproduction Mitchell Cover or EXC condition original Mitchell Cover depending on availability. 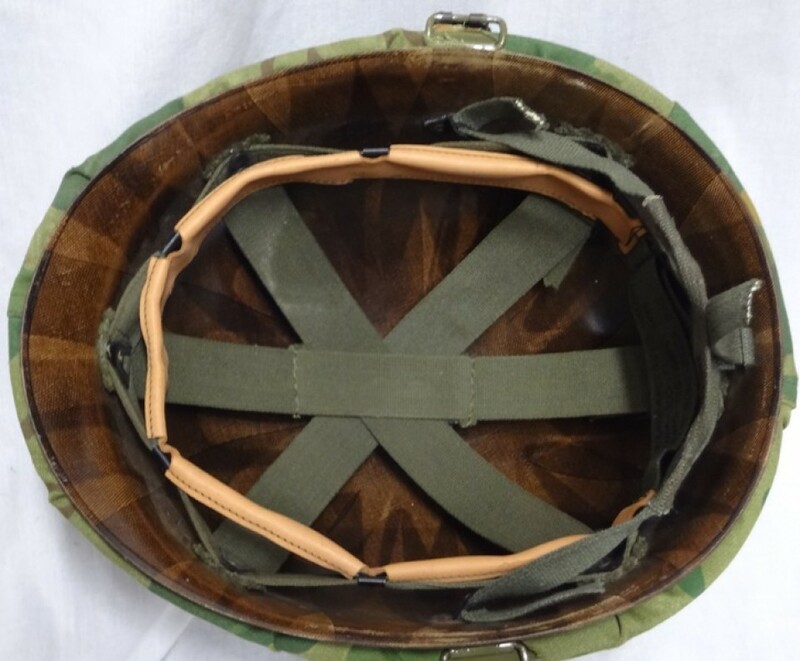 Helmet includes elastic helmet band or USMC Inner tube band. Please specify helmet band choice when ordering.